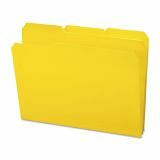 Available in four opaque colors (Blue, Green, Red and Yellow) for filing system speed and efficiency. 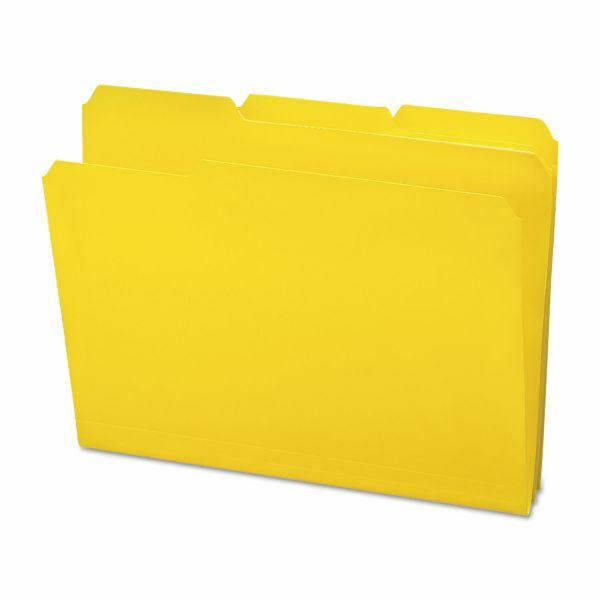 Smead Waterproof Poly File Folders, 1/3 Cut Top Tab, Letter, Yellow, 24/Box - Expanding File Folders are made of extra-tough, waterproof, tear-resistant polypropylene for long life. Come in four colors for easy color-coding. Letter size expanding file folders have 1/2 high, 1/3-cut tabs, in assorted tab positions.